Went to different brand launch and celebrations the past weeks. Also, discovered new products through "blogger mail" that I think you guys will be interested in. Sharing some of them to you in this post! Traveling with perfume has always been a hassle for me. It's either the bottle is too heavy, or it's too big that I can't even put it on my hand-carry. I tend to just bring the bottle na halos wala na laman. Here's a solution to this problem: TRAVALO Perfume Pods! Sleek, lightweight, with nice rounded casing, Travalo can store 5mL of perfume and can spray between 65 to 80 times before needing a refill. Pump-to-refill technology makes Travalo Perfume Pods more convenient, spill-free, and it does not change your perfume's quality. Available in Php 999 (Travalo Classic) and Php Php 349.75 (Perfume Pod) at SM North, SM Aura, and Lazada. Follow them on FACEBOOK and Instagram @travaloPH. One of my favorite hotels in Alabang, the Acacia Hotel Manila, recently unveiled their revamped menu and shop offerings at The Lobby at Acacia. “When we first opened The Lobby at Acacia, we presented a wide menu that offered soup, salad, appetizers, pizza, sandwiches, local favorites, international bestsellers and of course desserts. In our revamped menu, we maintained the same kind of format but with more creative options that are inspired from Asian and Western cuisine. Our guests will enjoy trying something new with every visit at very reasonable prices.” says Head Chef Aldo Palaypay. The Lobby at Acacia offers 66 dishes with prices that range from Php 280 to Php 1,595. Its most creative dishes to name a few are the Chicken and Pork Adobo Pizza, Aromatic Braised Beef Ragout, Pan Fried Salmon with Marinara Risotto, Crispy Nori Shrimp Salad, Braised Asian Duck Quesadilla, Capellini ala Gamba, and Crab Meat Lasagna with Grilled Shrimps. Other than food, The Lobby at Acacia, has a Souk wherein proudly Pinoy products are being sold. The Souk was not created for additional revenue, its main goal is to promote Filipino ingenuity and at the same time support marginalized communities. It offers bags, home accessories, fashion accessories and food that are perfect for pasalubongs. Brands that are available at The Lobby at Acacia are the following: Saffy, Kath's by Michelle Baldemor, Abre Linea, Laguna Water Hyacinth, House of Polvoron, and Sweet Seasons. Experience Acacia's warm and welcoming atmosphere by visiting The Lobby at Acacia from 6am to 12mn. Singapore Airlines recently celebrated their 50th year in the Philippines with a gathering at the Singapore Ambassador's Residence in North Forbes. Guests were treated to an evening of Singaporean and Filipino delights. It was a festive night, and I spotted several big names from different industries. I noticed that most of the products that Japanese brand Biore offer are direct to the point, quality, and effective. They always end up in a friend's favorites list! I am sure Biore Cleansing Oil Cotton Facial Sheets will also gain cult following. No need for harsh rubbing, Biore Cleansing Oil Cotton Facial Sheet contains 20% more cleansing oil to remove stubborn mascara and eyeliner. With triple layer and 100% natural fiber, these wipes can take rubbing and still be gentle on your skin. Follow Biore Philippines on FACEBOOK and Instagram @biorePH. British brand Mi-Pac enters the country, upholding individuality and freedom of expression through their 300 ++ bag design variations. During their launch at the Bratpack UP Town Center, participants enjoyed artsy stations where they treated their Mi-Pac bags as blank canvass - covering them with patches and quirky pins to make it more personal and truly their own. For more photos, follow Mi-Pac on FACEBOOK and Instagram @mipacphilippines. Everyone's crazy for matte lipstick lately, so it's high time that Avon Philippines releases their own Perfectly Matte Lipstick Collection! What I love about this is the VARIETY of shades available, from reds, pinks, to nudes! Avon promises true matte shade that doesn't cake and doesn't crack. To order, visit www.avonshop.ph, and follow them on Instagram @avonPH. 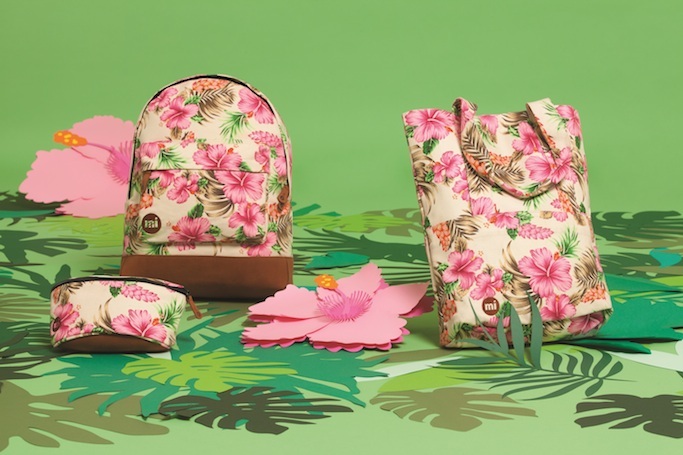 As a one-stop-shop, Avon also carries cool and affordable schoolbags that will fit every parents' budget. From backpacks that come with lunch bag or coin purse, and trolley bags, they have all kinds of designs suited for your kid. From Php 499 - 1499. Avon Back-To-School Bags are available starting May 1, 2016 from Avon Representatives nationwide. I finally found a solution to my 16GB iPhone: A Ye!! iBrary! Free up space from your iOS device, sync photos and videos from your camera roll, play music and videos saved in your iBrary drive, and backup contacts and calendars! Now I don't have to bring my laptop all the time when I travel. This one's in 32GB, available in Digital Walker stores. Follow @digitalwalkerPH and @digitstechcurators. Fossil is giving away as much as USD 1500 shopping spree and the season's must-have bag, watch, and Q Accessory MONTHLY for the whole 2016! To join, snap and share a photo with Fossil, and tag #FOSSILSTYLE and #CONTEST for your post to qualify. You will also need to fill up a form... Follow @fossil on Instagram, or visit www.fossil.com/shopinstagram for more information! 29-year-old Hannah Kong recently launched her debut collection last May 24, 2016 at Aruga by Rockwell. The showcase features 15 pieces of decadent broderie d'art occasion wear, most taking hundreds of hours of meticulous stitching, beadwork, and embroidery known as the Luneville or Tambour technique. "I really love embroidery and I’m trying to push the craft. I want to show that there is so much more to it, it’s really an art," said Hannah. Hannah Kong’s atelier is located at 6063 R. Palma Street, Barangay Poblacion, Makati City. For more information, visit her website at www.hannahkong.com and @hannahkong on Instagram.